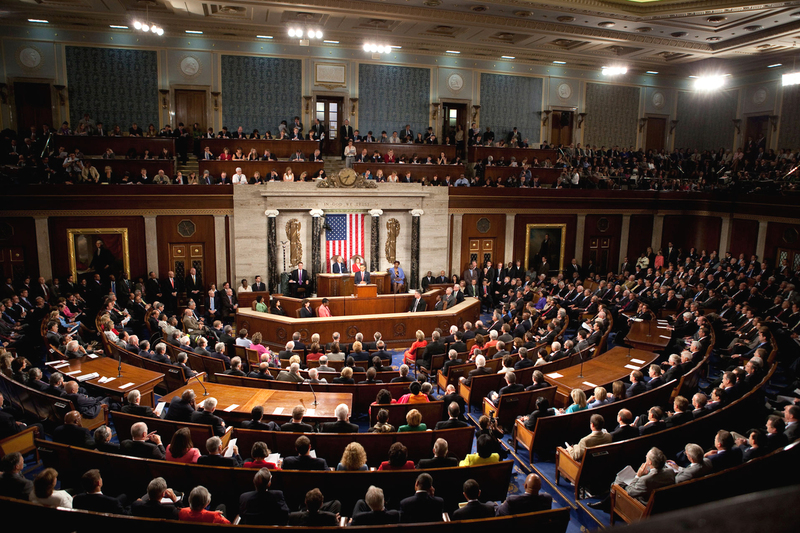 For many, Congress seems an indecipherable idea. Outside of the fact that there are 435 members of the House of Representatives and 100 senators who represent 50 states, many of us only know is what we hear on the news: they get together at irregular intervals to achieve next to nothing amidst much-publicized partisanship, filibustering, and argumentation. Then they blame the other side of the aisle on the news. Former President Barack Obama speaks as a joint congressional session. WikiCommons. The complexity of the legislative branch can be hard for the voting public to comprehend, and therefore, it becomes difficult for people to decide if Congress is doing its job and how to hold their representatives accountable if they feel like things aren't working as they should. It’s vital to understand, first and foremost that at its most basic Congress was set up to serve us, the people. 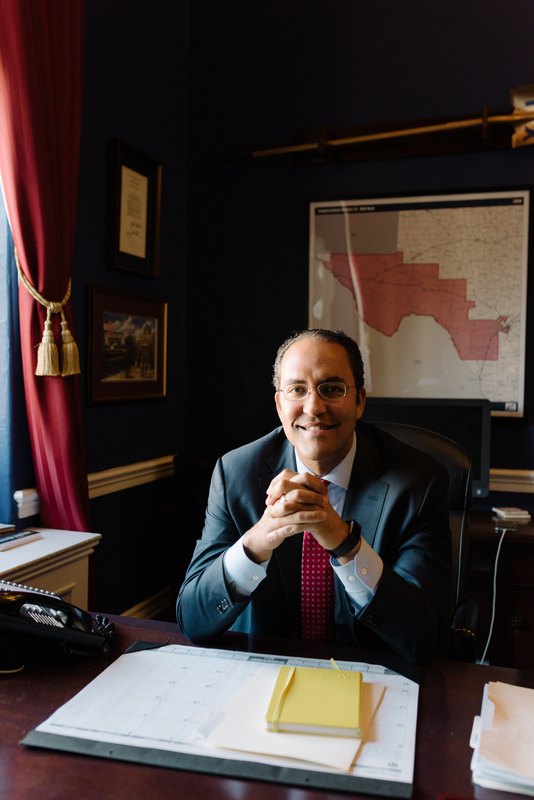 "The president is not our boss," says Representative Will Hurd, R-Texas, who is the first African-American to represent his West Texas district. "That's something I often have to remind constituents when they say 'your boss is doing something wrong!' Well, my boss is the 800,000 of y’all who elected me. It’s not the President of the United States." But to truly understand how Congress works and why, we have to return to the Constitution. There is a deficiency in understanding what it actually is Congress is intended to do for us as Americans. Contrary to popular belief, the Constitution wasn't set up to solve all of our problems and surface answers to questions. Instead, it was created to encourage dialogue and provide, as Hurd states, a "framework to have a conversation." In modern America we view Congress as political molasses, but the reality is that it was set up to be intentionally difficult, purposefully designed to move slowly as to prevent rash, reactionary legislation from being passed without lengthy discussion and detailed study. The framers hoped that compromise would be the norm in Congress and that minority views wouldn’t always be steamrolled, therefore providing the necessary oversight and ultimately protecting the people. The Constitution grants Congress both specific, enumerated powers, like coining money, and implied powers, those that are more open to interpretation, like the power to make laws. Most of the explicitly granted powers are listed in Article I, Section 8, which basically states we as citizens have to pay taxes and government will provide for the common defense, as well as in various constitutional amendments. The murkier, implied powers are largely derived from the Necessary and Proper Clause, and to a lesser degree, the Commerce Clause, which regulates commerce with foreign powers. 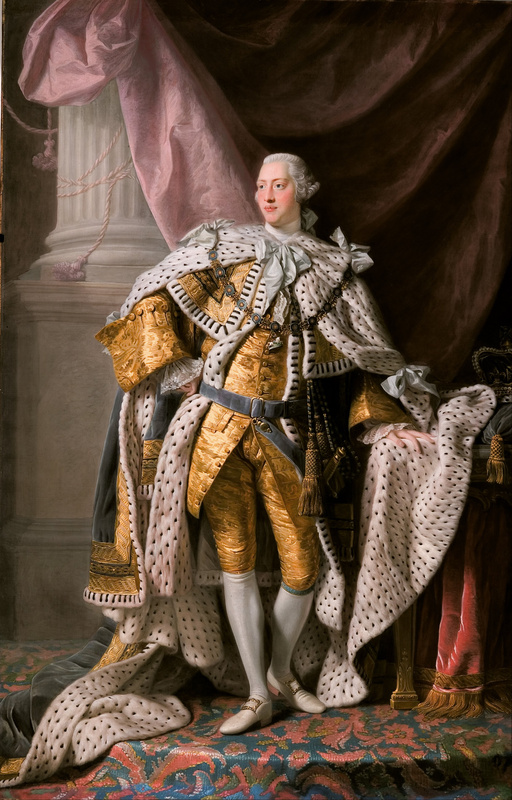 It’s important to remember that the framers of the Constitution lived through the American Revolution and the tyranny of King George III, and desperately wanted to avoid paving the way for another despot. To safeguard against the possibility of a totalitarian president and encourage distinct separations of power, the framers of the Constitution granted Congress three crucial checks on executive authority: the power of the purse, the powers of war, and the power of impeachment. Congress uses these powers to ensure they control the money of the other branches, the foreign entanglements in times of war, and of course, the ability of the people to remove the president. Is Congress doing what it's supposed to? Broadly-speaking, many contend that we, as Americans today, want the same things the framers of the Constitution sought many years ago. We don't want our leaders making decisions based on the whims of the mob. We want to have the privacy vs. security debate (though our founders could have never anticipated the digital age we live in today). And we want a strong Congress to ensure the smooth operations of the country and to make sure legislative power is adequately checked and balanced. This success, however, isn't widely publicized. "You never get stuff on television with the title 'Congress Worked!' You know?" jokes Hurd. "It just doesn't’ happen. But when we are actually willing to solve a problem and stop worrying about the politics, you can get big things done." "You never get stuff on television with the title 'Congress Worked!'" Hurd claims that part of our problem when evaluating our legislators is one of misplaced expectations due to our consistent focus on "fringe issues" instead of the "80% of things that we agree on." He theorizes that it's not so much the way the system is built that's the problem, but more often than not, the problem lies in way those inside the structure operate. Representative Brendan Boyle, D-PA, echoes the sentiment that “it’s not as bad as it looks.” Boyle argues that “because primaries play an outsized role in determining which candidates get elected, it creates a powerful incentive to not compromise.” This, according to Boyle, is why you tend to see gridlock on high-profile items, with the reality being that things that are being efficiently passed go relatively unnoticed. 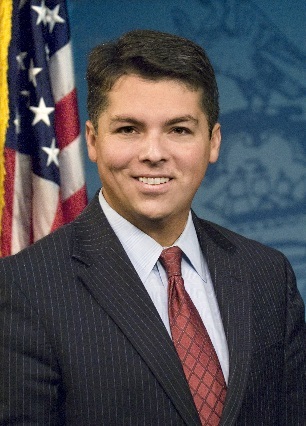 Representative Brendan Boyle, D-PA. WikiCommons. Congress is not without its pitfalls, though interestingly, the Congressmen vary in their solutions to some of our current congressional hang ups. Hurd’s prescription is less a systematic change and puts more onus on the members themselves to have a "back and forth exchange over long periods of time and be thoughtful." This will, in his estimation, allow politics to transcend partisanship and put the focus squarely where it should be: on solving problems and making progress. 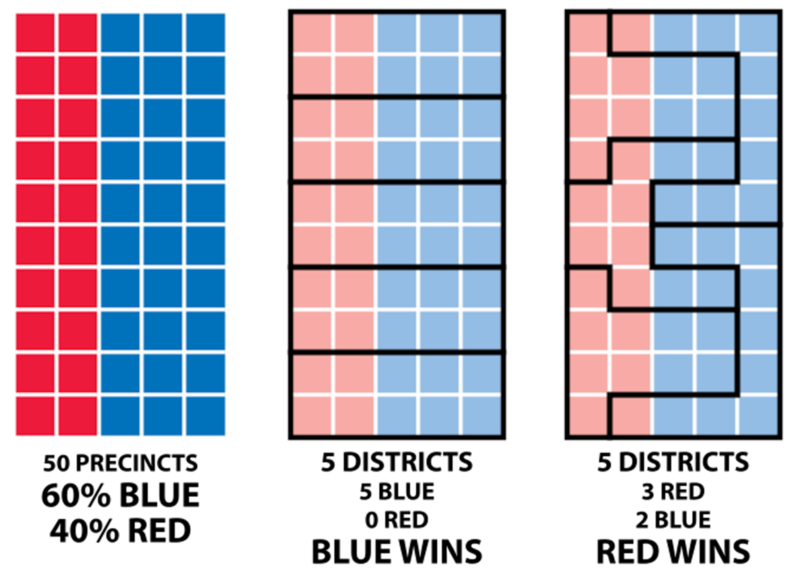 Example of how gerrymandering can effect election results. WikiCommons. No system is without its problems. However, we should be encouraged that both congressmen agree one one critical point: things do in fact get done, and there is more of a commitment bi-partisan politics than meets the naked eye. How sustainable is our current governmental setup? One of the most hotly-debated questions is how well will our governmental system, created by a document written over 200 years ago, withstand the test of time. How will it stand up to things like technological proliferation and the ever-changing sociopolitical tide? Representative government is tricky business. Even when you split a nation into states, then divide those states into districts, each member of Congress still has to represent the interests, opinions, wants, and needs of thousands upon thousands of people. Representatives have to use their judgement to prioritize the problems their constituency is facing. What issues do they tackle first? Where can they make the most headway? How can they accurately represent the needs of their entire constituency when some of their constituents hold diametrically-opposing views? While people’s frustration with Congress is understandable, it’s important to remember that Congress is made up of real people. They’re just as capable of growth and complexity as any of us. There are many smart, compassionate people willing to work hard and compromise across party lines to pass legislation that will make the United States a better, safer, and more just place to live. The Montpelier Roundtable on James Madison and the American Constitution (June 12-14, 2018) will bring approximately twenty scholars to Montpelier whose research and writing specialize in James Madison, his political thought, and the creation of the Constitution. It will provide scholars with an opportunity to gather and discuss their work in an open, collaborative, and inspiring environment. This year, the scholars will focus on the theme of Madison’s long-term impact on American government and democracy. Madison is the one who put the most thought into how the legislative process should work and now, modern-day scholars like Noah Feldman and Akhil Reed Amar apply his ideas to understand contemporary constitutional debates around the world.